Real Madrid have had a below-par season so far, probably the worst in decades. The reigning champions of Europe and Spain are struggling for form this time around. Real sit fourth in the La Liga table with 42 points out of possible 66. They trail the arch-rivals Barcelona by a tremendous gap of 17 points. The Los Blancos have already crashed out of the Copa Del Rey after a humiliating home defeat against Leganes. With Barcelona in an unmatched stride, the La Liga title race appears to be over for the holders. Real's only ray of hope for silverware is the Champions League. 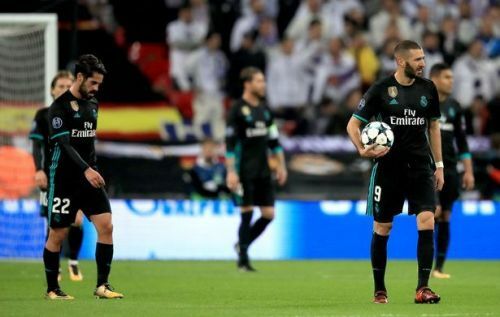 Having won the first leg at Bernabeu, Real have given PSG a serious headache for the reverse leg. Real Madrid would be looking forward to the fixture as the last chance for them to salvage some glory this season. However, it would be greatly against the odds if Real manage to pull out a third successive Champions League title. On that note, we take a look at the reasons why Madrid could go trophyless this season. 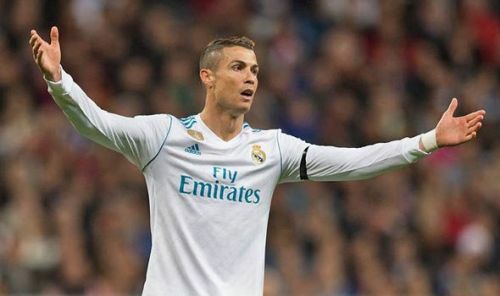 Real's catastrophic domestic run has come like a shock to the fans. Only the Champions League is the competition where Real have been most convincing this season. They defeated Dortmund convincingly home and away. However, Tottenham proved to be a tough test for them. Real travel to Paris next month carrying a two-goal cushion to face PSG. They had an impressive first leg display which ended 3-1 in favour of the home side. However, the away goal could prove advantageous for Unai Emery's men. Real would be upsetting some odds if they manage to repeat their first leg display in France. PSG have arguably the best attack in Europe at the moment. Not to mention that a PSG team without Neymar and Mbappe managed to put four behind Barca last term, let alone with them. Real need to produce something special if they want to get past this PSG team in front of the French crowd. Assuming that Real do manage to get past PSG, the latter stages of the competition would be a bigger test for them. Real could be up against the sides who aren't strugggling domestically as much as Zidane's men. The road to Kiev appears to be dodgy presently for the reigning champions.